Larry Harmon was born Lawrence Weiss in Ohio, the older of two boys. His mom worked in an office, and his dad took anything he could find, from handyman to salesman. These humble beginnings were no match for Harmon’s vision and determination. When Bozo decided to run for political office, people thought he was just clowning around, but Harmon had a mission. Making people laugh and learn was no laughing matter. As a young boy Harmon stuttered, and he knew he would have to overcome that to be successful. He figured he could help prepare himself for his destiny by imitating what he heard on the radio. Whenever his parents listened to a program, their ambitious son copied all the sounds and patterns of the voices, from speeches by President Roosevelt to opera. THE BEAT OF A DIFFERENT DRUMMER Harmon had a keen ear, and he heard rhythm in everything. Beating on things was a natural outlet for a kid with rhythm. He started with the pots and pans, banging out patterns with spoons. When he was six he wanted a more sophisticated sound. His first drum set was made up of a wooden breadboard, a cast-iron skillet, a metal mixing bowl, and an empty coffee can. For drum sticks he upgraded to his mom’s butcher knives. For his safety, his parents finally gave him a pair of real drumsticks and lessons with the renowned Charley Wilcoxon. In eighth grade Harmon was captivated by listening to the USC marching band perform during the Rose Bowl on New Year’s Day. The announcer described the drum major in his colorful uniform and commanding showmanship, and Harmon decided that he would be a drum major as soon he got into high school. Never mind that had never seen one and the position was always held by a senior. Through annoying persistence, a trait that often served him well, Harmon convinced the high school band director to let him audition at band camp that summer. To earn the money to go to camp, Harmon, only 14 years old, talked his way into a job at the local dry cleaners. On the last day of camp, Harmon fell, tore a tendon and was in a cast for the audition. He made up for his immobility with a grandiose ending that got him the job, the only freshman in the history of the school to be drum major. After a stint in the army Harmon had another dream come true. He was accepted to USC where he studied theater and became the drum major for the Trojan marching band. When he graduated he was ready for a career in entertainment and started using the stage name Larry Harmon. His first gig was as Commander Comet in a kid’s show on NBC. Television was still in its infancy, and Harmon not only played the spaceman, he also did the voices for six puppets, read the commercials and booked the guests, including pilot Chuck Yeager. As busy as the actor was on his first show, he also needed a day job. During that time he worked as a private investigator, home decorator, manager of a wholesale brokerage company and, when his parents moved to California, he opened a jewelry store with his father. At night he played with a jazz combo. SEND IN THE CLOWN In 1952 Harmon auditioned at Capitol Records to be one of the Bozo the Capitol Clowns in public appearances. He got the job and felt as comfortable in the oversized costume as in a favorite pair of jeans. For a few years he played Bozo and maintained his survival jobs until one night he had an epiphany. He envisioned transforming Bozo from just a clown to the World’s Most Famous Clown. In 1956, he negotiated buying the rights to the character at a time when the clown was losing his relevance for the direction Capitol was going. 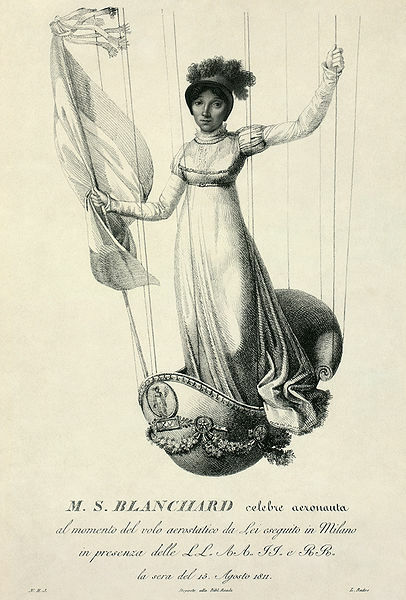 Immediately Harmon revamped the character into its iconic image. He made him smart and energetic with the wisdom of an adult and the wonder of a child. He changed the voice and created a laugh that crescendoed with each syllable. He redesigned the costume, replacing the mop-like wig with a red wig made from yak hair and coated with Krylon. He traded in his shoes for a size 83AAA. 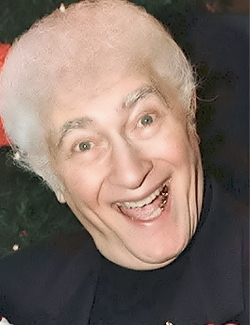 Once the new character was set, Harmon needed a TV show for him to appear in. It was too expensive to produce a program on a major network, so he decided to create a show for the local market airing in Los Angeles on KTLA. He added other characters and hired a different actor to play Bozo so he could concentrate on the production aspects. To round out the program, Harmon wanted cartoons to give Bozo the opportunity to do crazy things a live actor couldn’t. He borrowed money and opened a small animation studio. It didn’t take long for Bozo to become a hit, and Harmon started stage two of his business plan. He franchised the show at local stations all around the country, allowing it to adapt to regional differences and giving the kids in each market the opportunity to participate in the audiences. Advertisers had the advantage of buying time on a show that catered to the customers in their area. 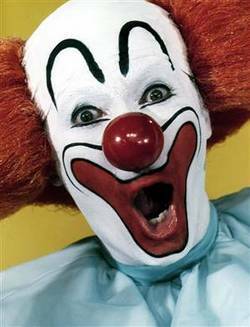 In 1959 Harmon started licensing the Bozo TV shows, and he traveled around the country to train hand-picked actors to play the character. Eventually, over 200 men in the US and other countries, including Thailand, Greece, Brazil, Puerto Rico, Mexico and Australia, completed the rigorous training to learn the specifics of playing the world’s most famous clown. And, playing Bozo launched at least one show business career. In Washington, DC, Willard Scott wore the red wig and nose before becoming a celebrity weather man. FINDING OPPORTUNITIES Harmon occasionally played Bozo himself, and he used his alter ego to educate children as well as entertain. This gave him the opportunity for some unique experiences, always in costume. He flew in the zero gravity aircraft that trains astronauts. He went scuba diving with Navy frogmen. He threw out the first pitch for a Cleveland Indian’s baseball game. He jumped out of a window while being chased by flames to demonstrate fire safety. Much of Harmon’s success was because he refused to take “no” for an answer. Harmon persuaded an Australian bush pilot to drop the clown and a two-person film crew into the jungle of New Guinea so he could meet the cannibalistic aborigines and prove that laughter is a universal language. When he came face to face with the chief, Bozo tried to explain that he came in peace, but he was at a loss for words. After some tense moments, the two men discerned that they had something in common, an unusual headdress. Then Bozo broke the ice with a magic trick which led to spending two days making friends with people the rest of the world feared. In 1984, Harmon was encouraged to use Bozo’s influence to get people to vote in the presidential election. To do this he declared himself a write-in candidate for President of the United States and hit the campaign trail. He had no delusions about winning, but some citizens feared his candidacy was more than symbolic. There were three serious attempts to kill him. When Harmon was 60 years old he had a heart attack, the first in a long list of heart ailments. He continued working on the business aspects of his enterprise for over 20 years supported by his second wife Susan. On January 1,1996 Harmon became Bozo for the first time in a decade to appear in the Rose Parade in Pasadena, California. In 2008 his heart gave out. But even though Harmon has passed on, the laughter and lessons from Bozo live forever. QUESTION: What could you do if you refused to take “no” for an answer? Harmon, Larry & McKenzie, Thomas Scott, The Man Behind the Nose: Assassins, Astronauts, Cannibals, and Other Stupendous Tales. New York: Igniter Books, 2010. Belmonte was a rambunctious child who hung out with a gang of mischief makers. On a dare, he climbed a wall in order to touch the exposed breasts of a statue, and fell off, cracking his head open. His punishment was to have to go to school, which he did from ages four to eight. In that short time he became literate, but it was a struggle. The young boy’s education continued outside the classroom. As the oldest of eleven children, Belmonte was expected to help his father in the shop, but his shy, insecure personality was no match for the hagglers who bargained down the prices. His dad berated him for losing money the family desperately needed, but he also took some responsibility for his son’s maturity. Every day until he was eleven, Belmonte went with his dad to the café and observed the other men, learning from them how a man with self esteem behaves. From hanging out in the streets with his buddies he learned to smoke, drink, play cards and be with women. One group of Belmonte’s friends owned a printing press, and their love of cheap detective novels rubbed off on him. He could read well enough to keep up with them, and the group would dramatically act out the stories. This began his life-long passion for reading. GETTING AN EARLY START Belmonte’s fascination with bulls started when he was a toddler. While his family was dining in a restaurant, he wandered outside to a pen that had several calves. He tried get a stubborn one to charge and was disappointed when the animal didn’t respond. As he got a little older, he started playing around with a cape and found that it gave him the confidence that he lacked naturally. Bullfighting soon became a way to avoid working. He was easily tempted by his pals to go out to the country and find bulls to practice with. After a while they had to go out on moonless nights so they wouldn’t be caught by the Guardia Civil patrolling the pastures and corrals. The first time he found himself at the mercy of a bull, Belmonte was sporting the new suit his family bought him for Holy Week. There was a lone bull in a ring, and Belmonte jumped in with it, even though he couldn’t see where it was. He managed to lead the animal through two successful passes, but on the third one the bull hit him and threw him into the air. The rookie tried to find the fence to escape, but the bull sent him airborne again. The third time the bull made contact, Belmonte was sent flying, and he hit the fence on the way down, managing to crawl away. For him, being knocked around by the bull was not nearly as bad as ruining his new suit. 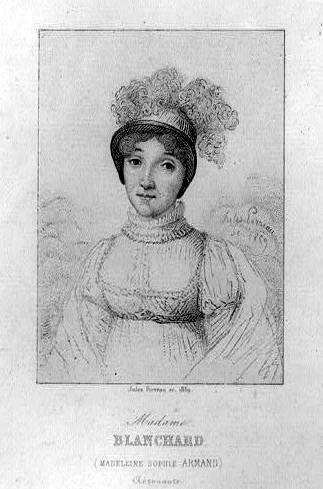 TURNING PRO Belmonte’s first contract to fight was as a last minute substitute under a different name. The posters were already printed with the name Montes II. By the time he rented his costume and paid his banderillero, there was no money left for him. The technique Belmonte developed was contrary to every other torero, and to common sense. Because of his weak legs, he planted himself and forced the bull to go around him instead of moving away from the bull as it made its pass. The bulls would go by so close that there would be hairs stuck on Belmonte’s jacket. HIS FIRST KILL In July 1910, Belmonte made his first kill. All was going well, and he was ready for the final moment. With the muleta in his left hand and the sword in his right, the torero cited the bull. It passed so close that the horn went into the fighter’s forehead and ripped his eyebrow. With blood blinding his vision, Belmonte reacted with a frenzied anger. He pulled the dangling flap up skin back up to his forehead, instinctively got into position and thrust the sword into the animal’s neck. When the bull started sinking to the ground, he knew he had made a perfect hit, and the crowd exploded with their approval. Since he was the only bullfighter on the program that day, he was taken to the infirmary for some slap-dash surgery. The doctor sterilized the wound by drinking some mineral water, mixing it with saliva and spitting it onto the fighter’s face. After a few rough stitches, Belmonte took to the ring for his second bull, with considerably less luck. Belmonte could finally call himself a matador, the term for the bullfighter who kills the bull. His star was rising until an affair with a married woman became a total distraction. He was used to casual relationships with fawning ladies, but now a lack of sleep and improper diet left him emotionally and physically unfit to face a bull. During a corrida before a demanding crowd in his native Seville, he got two warnings for a bad performance with the first bull. When he tried to kill the second bull he couldn’t make contact, and in a fit of exhaustion screamed at the bull to just kill him. Belmonte was removed from the ring in humiliation which led to his first retirement. He worked as a day laborer until he could regain his passion practicing at night in the moonlit pastures, naked. 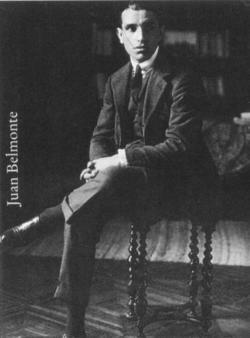 By 1917, Belmonte’s reputation was firmly rooted in his success, although his career was not without injuries. He was gored in the thigh numerous times and wounded in the chest at least once. He often defied the odds and physical pain, always fighting two or three bulls during every corrida, and sometimes fighting every day, leaving little time to recover. But to Belmonte bullfighting was a spiritual practice, and strength of spirit was more important than physical strength. He got invitations to fight in Mexico, Cuba and South America, and whenever he traveled he brought a trunk full of books with him. In Lima, Peru he met a woman at a party and fell in love. He brought her back to Spain with him, where they were to get married. Belmonte never stopped being shy and hated any kind of ceremony. While he was fighting in Venezuela he arranged to be married by proxy. NEVER GONNA GIVE IT UP In 1919 Belmonte was at his peak. He was in 109 corridas and killed 234 bulls, a record he held until 1965. He earned about $9,000 for an afternoon of battling two bulls. The following year he could feel his passion waning, and he took some time off when his professional rival and close friend, Joselito, died in the ring. After ten years of his career, he could finally buy a ranch he called La Capitana. He spent some down time there but got bored and started fighting again. During the season of 1927 he was forced to seriously consider retirement after spending a month in the hospital. He lived on the ranch full time, farming, reading and fighting in a few charity events. He came out of retirement again in 1934 and was gored 14 times. In 1935, a bull split his collarbone, but he pulled himself together to fulfill his contractual obligations. Back at La Capitana, Belmonte enjoyed years of sparing with his own bulls, teaching future bullfighters and hanging out at the local bars. In 1961 his weak health turned into a severe heart condition. The following spring, the doctor told him to stop all his activities including riding his beloved horse. He decided he would rather die. In April 1962, he took one last ride around the property then locked himself in his study and shot himself in the head. QUESTION: What’s something that you have become good at because you didn’t give up? Belmonte, Juan and Nogales, Manuel Chaves, Juan Belmonte, Killer of Bulls. New York: Doubleday, Doran & Company, Inc., 1937.